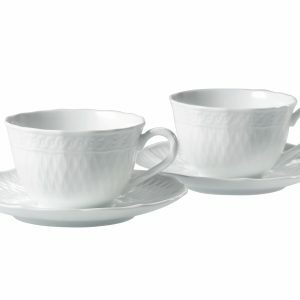 Cher Blanc is a light and thin fine porcelain with commercial grade quality. 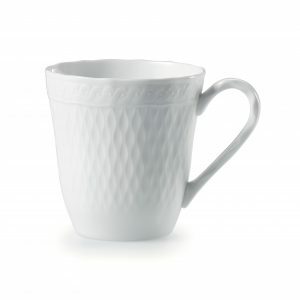 Bright, pure white with a high-gloss glaze, the pattern features a subtle embossed latticework motif on the rim accented with a scroll and floral border. Perfect for all dining occasions. 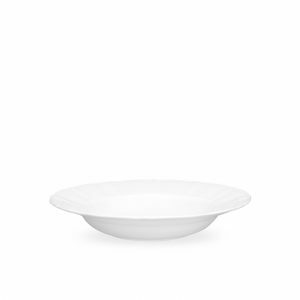 Set includes 4x 21.5cm Plates, 4x 27.9cm Plates and 4x 24cm Soup Plates.